They say space is the final frontier, and like all terran frontiers, people are rushing to claim it. In a way, we’re in the midst of a space-exploration renaissance, with a bizarre mix of nations, corporations, and random billionaires looking to stake their claim in the heavens. Earlier this week, China announced that it had landed a robotic rover named Jade Rabbit on the Moon, while Iran is sending monkeys into space. Its the 1960s all over again. Meanwhile, a host of private entities are making their way into space, helmed by a list of names that looks like it was generated by a random search of Wired.com. 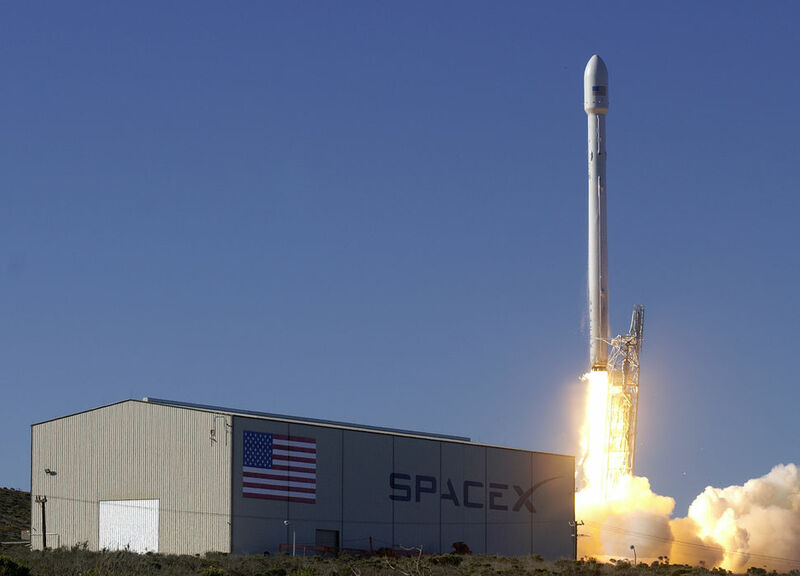 There’s Elon Musk’s SpaceX, which is already delivering cargo to the International Space Station, and hopes to modify its Dragon capsule to carry human passengers. Then there’s Jeff Bezos’ mysterious Blue Origin, which is testing rockets and capsules at a top secret facility in Texas. Is Bezos trying to explore the galaxy, or conquer it? Other, less practical schemes include Richard Branson’s Virgin Galactic, which hopes to send a few (very wealthy) tourists to the edge of space soon, and Mars One, which plans to send colonists on a one-way trip to the red planet. Don’t laugh: there are already 200,000 volunteers. While it may seem haphazard and–at times–zany, this should be encouraging for those who believe space exploration is an important pursuit. That’s because while we’re a long way from Starfleet and the United Federation of Planets, space exploration is taking on the exact same tone as nearly everything else humans do on a large scale. Exploration purely for its own sake is a nice sentiment, but what really drives people is money and competition. Whether its the Cold War or potential business opportunities, things tend to get done faster when there’s another motive. Today’s space pioneers may turn out to be more like the money-grubbing Ferengi or expansionist Romulans than Starfleet officers, but hopefully they will at least ensure that humans leave Earth orbit at all. 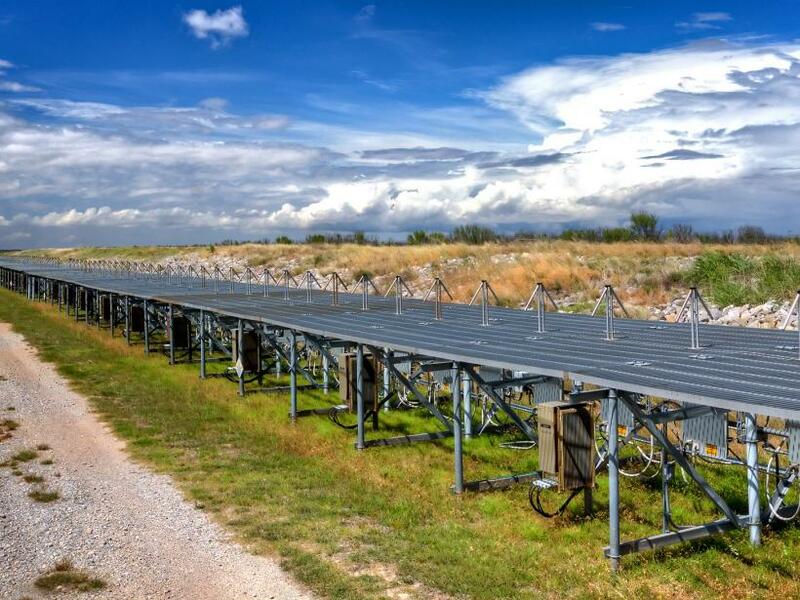 Why not start off the new year with a look into the future? Of course, even the utopian future of Star Trek has a few rough edges, and they will be the subject of this two-part series. While the myriad incarnations of the USS Enterprise were off exploring the galaxy, other ships held the line against Romulans, Cardassians, Ferengi, and random natural phenomena. These ships are the Red Shirts of the fleet. Last week, the “bucket of bolts” Constellation-class got its time in the spotlight. This week, the focus is on the Oberth-class science ships. As research vessels, ships of the Oberth-class were designed to deal with the unexpected. 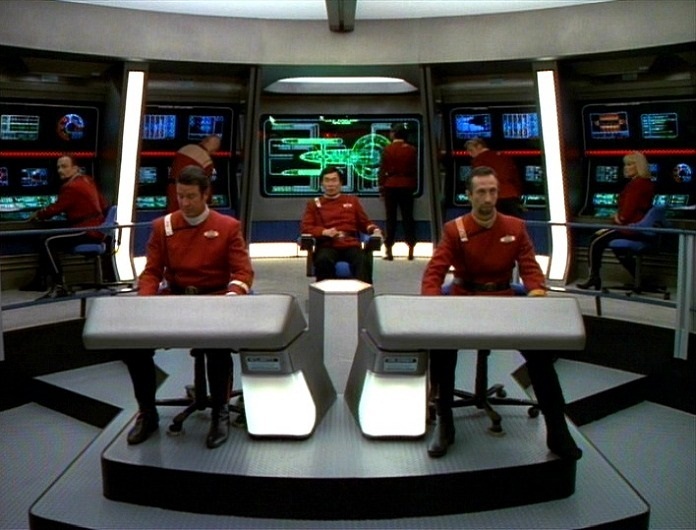 However, as seen in various episodes of Star Trek: The Next Generation, the unexpected often caused serious misfortune for the people that manned them. 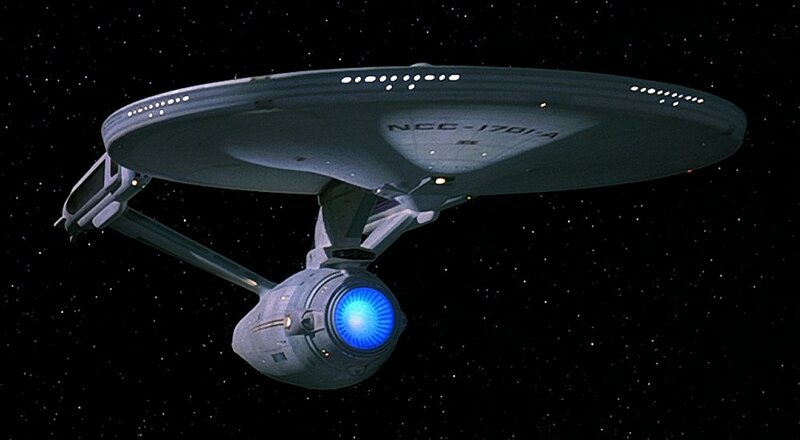 Named after German rocket scientist Hermann Oberth, the Oberth-class definitely has the Red Shirt spirit. With its unusual biplane hull design, this class was never going to look heroic on the screen. Instead, it looked like someone had tried to assemble a starship model kit without reading the instructions. Starfleet may not have been too fond of the ships either: The Oberth-class is the only known starship type to be operated by both Starfleet and civilians. 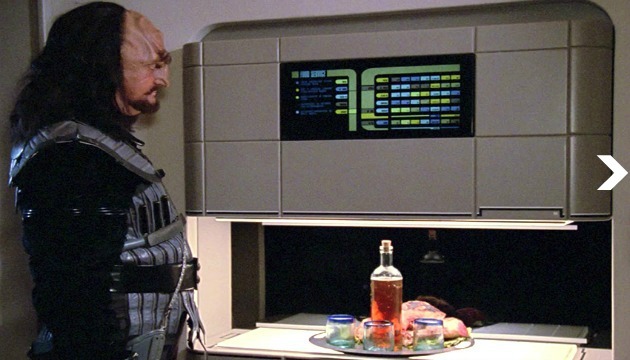 SS Tsiolkovsky (NCC-53911): In The Naked Now, the Tsiolkovsky’s crew is exposed to polywater intoxication. The crew of 80 is killed when drunken revelers tamper with the ship’s environmental controls, and the ship itself is destroyed by a fragment of a red giant star’s core, allowing the USS Enterprise (NCC-1701-D) to escape. SS Vico (NAR-18834): Destroyed by a “black cluster,” a gravitational phenomenon that reflected the ship’s shield output and essentially crushed the Vico with its own shields. USS Yosemite (NCC-19002): Quasi-energy microbes caused a plasma explosion on board. Four survivors were trapped in a transporter beam as a result of the microbes’ interference, but were discovered by Lieutenant Reginald Barclay in the episode Realm of Fear. USS Pegasus: (NCC-53847): It’s not surprising that Starfleet kept this a secret. The Pegasus was testing an illegal interphasic cloaking device, which overloaded the ship’s plasma relay system and caused an explosion. Part of the ship’s crew mutinied, and Captain Eric Pressman, Ensign William Riker, and others abandoned ship. The Pegasus was seemingly destroyed by a second explosion, which was actually plasma from the relay venting into space. The cloak allowed the Pegasus to phase through solid matter, and the ship drifted into an asteroid until its power systems shut down while it was half-buried. 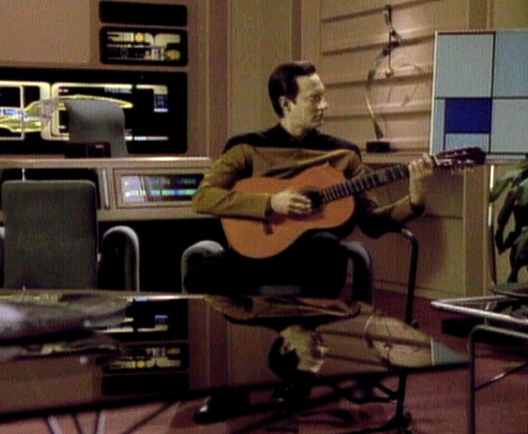 It was found fused with the asteroid by Pressman, Riker, and the Enterprise crew in an eponymous TNG episode. This is far from an exhaustive list of every Oberth-class ship that appeared in Star Trek, but it definitely denotes a pattern. It does make sense, though: from a writing standpoint, it wouldn’t be very plausible to destroy a huge cruiser every few episodes, and the producers already had an Oberth model to reuse. Still, if you ever find yourself enlisting in Starfleet, try to avoid shipping out on an Oberth. 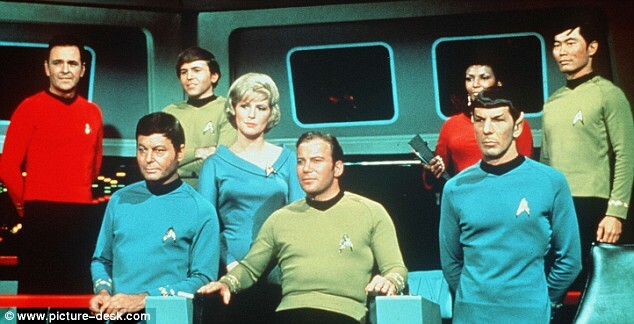 When Star Trek was revived with the 1980s’ The Next Generation, it got a bigger budget. 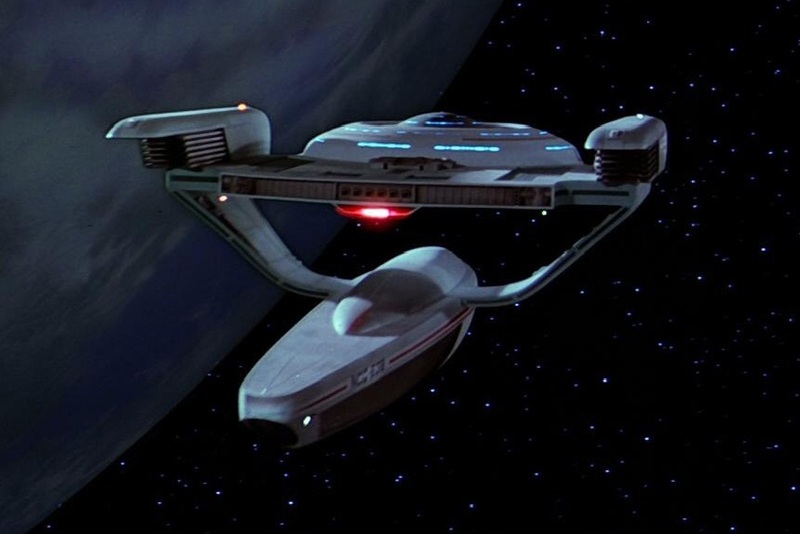 That meant designers could build starships that were visually different from the main Galaxy-class Enterprise (NCC-1701-D), instead of reusing one or two models as in the Original Series. Ships like the Constellation-class helped fill out Starfleet, giving it the appearance of an actual fleet with ships of differing sizes and purposes. The big Galaxy, Ambassador, and Excelsior-class ships were designed for long-term missions of exploration, but the Constellation had a more mundane role. The most famous Constellation-class ship was the USS Stargazer (NCC-2893), because it was the first command of a certain Capt. Jean-Luc Picard. The future Enterprise captain’s experience on the Stargazer shows that life in Starfleet isn’t always glamorous. Picard called the Stargazer “an overworked, underpowered vessel that was always on the verge of flying apart at the seams.” That’s not something one would expect of Starfleet, an organization with a responsibility for protecting a vast section of the galaxy, and nearly unlimited resources with which to do so. As Picard’s career on the Stargazer shows, that duty often involved sending ships out on long patrols, where the enemy often had them outgunned. The “Picard Maneuver” from the TNG episode “The Battle” showed that intelligence could even the odds, though. Given the Hathaway’s condition, it’s obvious that the Constellation-class ships weren’t meant to last. While the 80-year-old Hathaway needed lots of work in order to be made ship-shape, Excelsior-class ships of similar age were still cruising; the USS Gorkon was the flagship of Admiral Alynna Nechayev at the time. A Constellation would not make a very prestigious flagship, but maybe that’s just as well. Picard always felt sentimental about his first command, so if it wasn’t a piece of junk he might never have wanted to leave. Tune in next week for the unlucky Oberth-class. If you buy the Star Trek Hero Clix starter set, you’ll get a ship from the Voyager era called the USS Rhode Island. It may indicate that Starfleet was running out of good names in the 2400s, or it could have been someone’s idea of a joke. 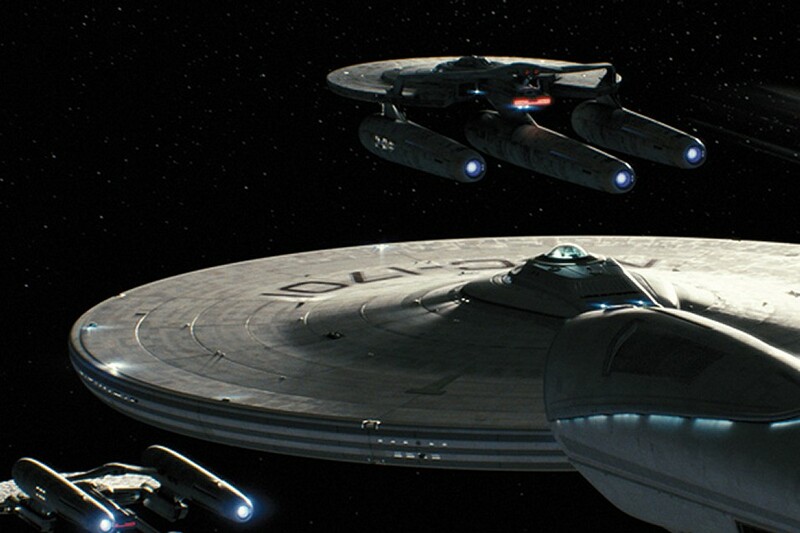 Either way, the ship named after America’s smallest state had an important role to play in the Star Trek universe. The Rhode Island was commissioned in the early 2400s and sent on a four-year mission of exploration. She was commanded by Captain Harry Kim of Voyager fame. 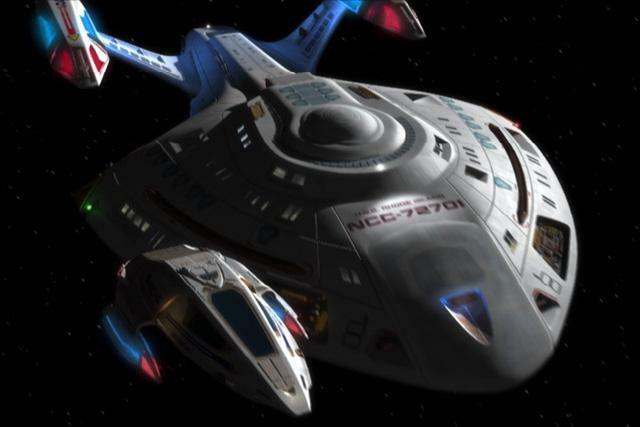 The ship’s moment of glory actually happened in the alternate future depicted in the Voyager series finale “Endgame.” The Rhode Island comes to the rescue of Admiral Janeway, after her shuttle was attacked by Klingons from whom she had stolen a chrono deflector. Kim and the Rhode Island chased the two Klingon ships away, then Kim attempted to arrest Janeway. However, she eventually convinces Kim to let her go back in time to help their past selves return to Alpha Quadrant. The USS Rhode Island is a modified Nova-class science and reconnaissance vessel. 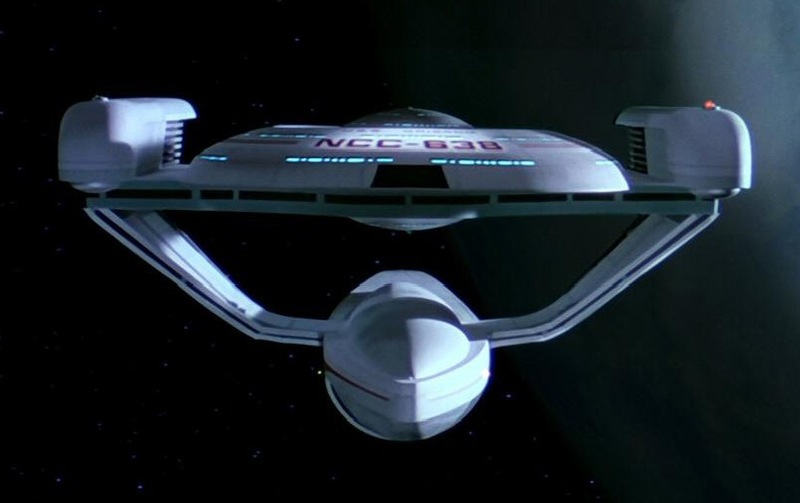 These ships were smaller than Starfleet mainstays like the Constitution, Excelsior, and Galaxy-class ships. The Rhode Island and her sisters have a maximum speed of warp 8, and a crew of 80. The Nova-class ships may have been designed for science, but they still had enough weaponry to defend themselves. Each ship had 11 phaser arrays and three photon torpedo launches (two forward, one aft). Aesthetically, the Nova-class reflects the tougher look of Starfleet ships designed after the Battle of Wolf 359, when the Federation began seriously expanding its military capabilities to deal with the Borg. The Novas look like mini Sovereign-class ships. The Rhode Island got some visual modifications to distinguish her from her sister ships. Designer Robert Bonchune made a different bridge and filled in the gap in front of the deflector dish from the USS Equinox filming model, along with some other slight alterations. It is assumed that these modifications reflect a mid-life refit of the ship meant to extend its service life. The Rhode Island’s brief appearance onscreen obviously doesn’t warrant an in-depth description. What’s with the name? It turns out that it actually was a bit of a joke. The name was apparently chosen to make fun of Harry Kim, who had finally gotten to command a starship, but got stuck with one named after America’s smallest state. Kim should consider himself lucky, though. If Starfleet had used the state’s full name, he would have been commanding the USS State of Rhode Island and Providence Plantations. The name USS Rhode Island might not strike fear into the hearts of Klingons and Romulans, but it’s a nice tribute to the people of Rhode Island. They deserve some recognition for living there.